for helping to raise $500 for the Caesar Memorial Cancer Fund. 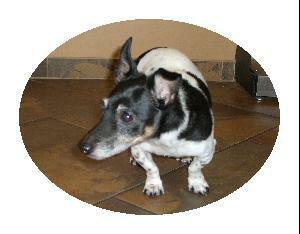 Our latest donation went to Obie, a Jack Russell Terrier who underwent abdominal surgery due to cancer. 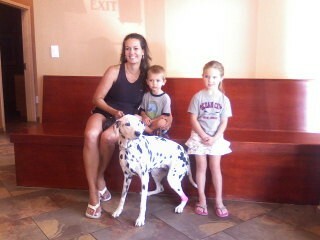 Obie fought bravely and was able to spend months of quality time with her family after the surgery. This fund is completely dependent on your generosity and 100% of the funds will be applied toward the treatment costs of cancer patients. Cancer is an all too common diagnosis in our pets. The treatment options include surgery and chemotherapy and are costly. The goal of this fund is to help purchase the necessary medications so that pet owners have the option of treating their pet that could otherwise not afford it. Caesar was no ordinary Maltese. He was born with a very rare disorder that affected his muscles. His owner could not take care of him so Dr. Sharpe brought him home where he immediately became a beloved family member. Caesar could not walk and run like other dogs but that didn't stop him from trying. He would still fight over food, play with his best friend Moorea and crawl into a lap looking for affection. In August 2007, we found an enlarged lymph node and followed up with diagnostic testing. Caesar was diagnosed with Lymphoma that had already spread to his spleen. In an effort to give him some quality time, we chose to proceed with the surgery to remove the spleen. 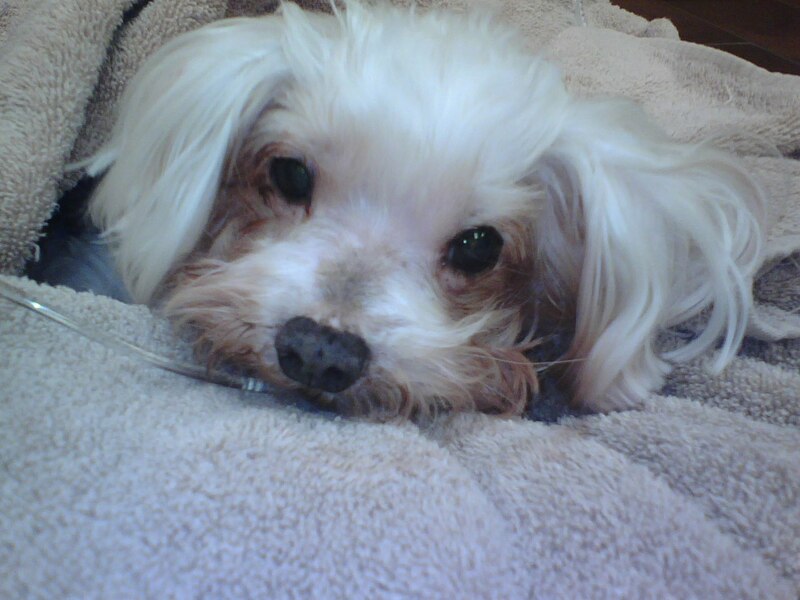 His recovery from the surgery seemed to be going well, however a week later he passed away at home on 9-11-07. He was 9 1/2 years old.